Is it Time to Remove Your Private Mortgage Insurance? If you’re paying Private Mortgage Insurance (PMI), or if you don’t know if you are, now may be a good time for a mortgage review. Mortgage insurance protects the lender for losses on a defaulted loan, when the borrower puts less than 20% of the sales price as down payment. The policy supports people with a home purchase by letting them utilize loan programs allowing less than 20% of the sales price, but also adds a cost to the loan. Does my loan have mortgage insurance included in it? If you put less than 20% down on the purchase of your loan or refinanced with less than 20% equity in the home, you likely have mortgage insurance. Different loan programs have their own mortgage insurance and their own rules that dictate when or if the mortgage insurance can be dropped. Government programs such as FHA and VA have their own programs for insuring loans. Conventional loans utilize private mortgage insurance. Can I remove my mortgage insurance? Whether you can remove mortgage insurance or when it can drop off from a loan differs from one program to another. For example, the FHA loan program was recently adapted to keep mortgage insurance on the loan for the duration of that loan. Conventional loan products have mortgage insurance for a specified timeframe or until the loan reaches certain parameters. According to REColorado, the price of the average single-family home in the Denver metro area has risen 11%, from $424,364 to $469,613 between March 2017 and March 2018. Now is the perfect time to determine if you can remove mortgage insurance from your loan. The Homeowners’ Protection Act provides for mortgage insurance to be removed in different ways. On a conventional loan, if you have paid your mortgage balance down to 78% of the sale price/home value at the time you took out your loan, mortgage insurance will be removed automatically. Alternatively, on a conventional loan, if you can prove to your loan servicer that you have 20% equity in the home, you can get your mortgage insurance removed. To do this, contact the loan servicer and request an appraisal. You must have good payment history, occupy the home as your primary or secondary residence, and have had the loan for at least two years. If all of these are accurate and the appraisal shows more than 20% equity, the loan servicer can remove mortgage insurance. This can be less costly than refinancing, especially if you have an interest rate below current market rates (around 4.5%-5.25%). Note: FHA loans include mortgage insurance for the life of the loan. The only way to remove the mortgage insurance on an FHA loan is to refinance the loan completely. Does a refinance make more sense for you? With this in mind, now is the perfect time to contact me to review your current loan. Depending on your individual scenario, a refinance may be the perfect opportunity to remove your mortgage insurance premium as well as restructure your loan to achieve other goals. Do you need to add on or remodel your home? Pay off other debts or high interest credit cards that are eating at your monthly cash flow? Pay for college? Purchase a second home in a resort town? Let’s talk about your loan to make sure it still fits your needs. Your home represents many things: safety, independence, and memories to name a few. Now, with a reverse mortgage, it can also be a source of income. A reverse mortgage can meet financial needs and ensure that you can stay in your home as long as you choose. It is a loan against your home that does not have to repaid as long as live in your home. Learn more here about what a reverse mortgage is and how you can use the funds. What is so unique about the program? The borrower is NEVER required to make a monthly payment. It is a loan in “reverse.” Instead of making payments, you can receive them. Will this loan affect my Social Security or Medicare? Will I have to pay income tax on the money I receive? No. The money is considered proceeds of a loan and not taxable. It depends on your age(s) and the value of your home as well as the interest rate at the time of closing. The older you are the more money you get. Will I have to pay an up-front application/appraisal fee? At Universal Lending you will not have to pay these fees out of pocket; they are included in your loan. You and/or your spouse must live in the home, keep the property in good condition and make sure your taxes and insurance are paid on a yearly basis. Do I have to own my home free and clear? No, even if you have an existing loan, reverse mortgage proceeds can be used to pay the loan in full and you would never have another house payment. The loan is due when you and your spouse no longer live in the home as your primary residence. Is this a safe loan? Yes. It is an FHA-Insured loan administered by the federal government. Because of recent program changes, some reverse mortgages are less expensive than in years past. Yes. You DO NOT give up title to your property and you can sell and move at any time. Can my wife and I get a reverse mortgage if I am over 62 but she is not? Yes, only one borrower has to be 62 or older. What questions should I ask a potential lender? Ask if they process and underwrite their loans in state; you want your paperwork done locally. Make sure your lender has years of experience and ask how long they have been providing reverse mortgages. Ask if their loan officer will meet you face to face to explain the paperwork. How can I be sure it is right for me? A meeting with a HUD-approved housing agency is required. They will sit down with you (and your family if you like), to explain this program so you can make an informed decision. Can I purchase a new home with a reverse mortgage? Yes, the program is called Reverse for Purchase. It’s a great option for customers who want to downsize, move closer to their kids or buy a home with no outside maintenance and have no house payments. Don’t try to learn all there is to know about reverse mortgages online. 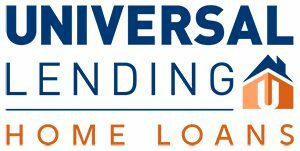 Universal Lending is honored to work with one of the nation’s foremost experts on these loans. Contact us today to learn more.